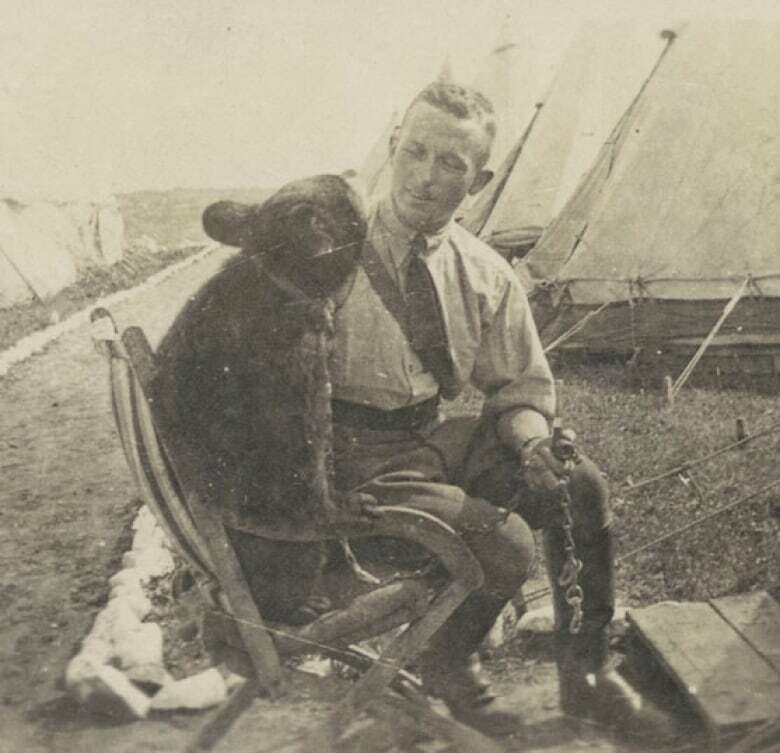 A Winnipeg man donated a bear to the London Zoo, and a literary legend was born. Winnie-the-Pooh has been one of the best-known characters of children's literature since making his debut in A.A. Milne's The House at Pooh Corner in 1926. He makes an appearance yet again in the 2018 movie Christopher Robin, a what-if story about the grown-up human hero of the Pooh stories. But it wasn't until the 1980s that the story behind the inspiration for the bear came to light. The "silly old bear" was not pure invention; he was inspired by a real-life bear in the London Zoo. The bear, a female named "Winnie" (short for Winnipeg), was a donation from Capt. Harry Colebourn, a Canadian Army veterinarian in the First World War. In 1989, Colebourn's son Fred wanted the city to erect a statue of the bear to remind visitors of the connection. 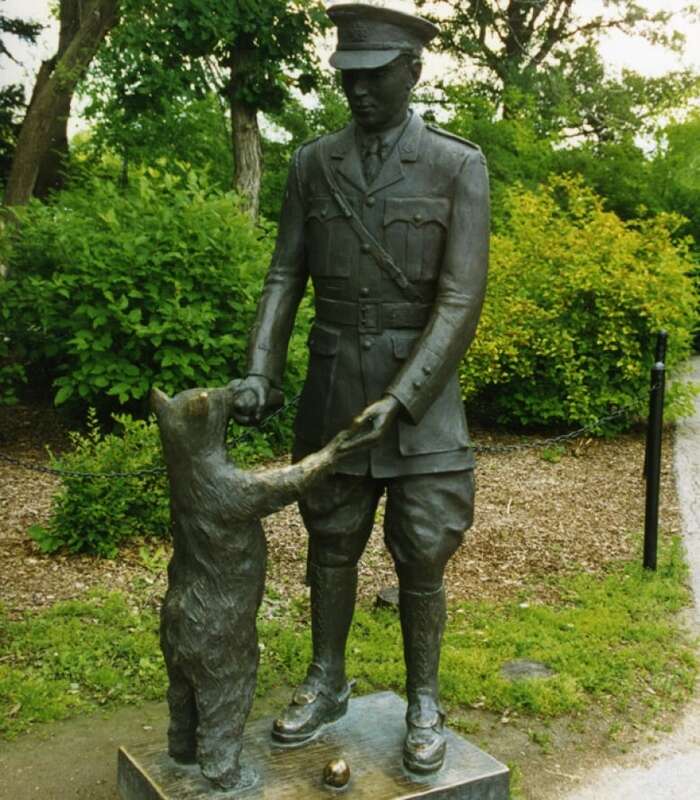 The London Zoo already had a statue of Winnie, who died in 1934. "It would never have come into existence had Father not taken that little cub to England," said Colebourn, making his case for a statue. Harry Colebourn visited Winnie every time he was on leave in London. By the end of the war in 1918, Winnie had many admirers and was one of the zoo's most popular animals. Colebourn decided to leave her in the zoo's care and, in a ceremony on Dec. 1, 1919, he officially handed her over to the zoo. The city did put up a statue of Capt. Colebourn with Winnie at Assiniboine Park in 1992. The park also houses The Pooh Gallery, which opened in 1914.